A good place to begin is to look at what Interspecies Telepathic Communication means. Then we will take a look at how it works and how you are already doing this. Keep in mind that each of us is born with the ability to communication with all beings. For our purposes, we are talking about communication and interactions between humans and animals, but this can also take place between insects, plants, trees, etc. People who are beginning to work with, learn and experience Animal Communication usually start practicing with their domestic animal friends and companions. Inter comes from Latin where it meant “between,” “among,” “in the midst of,” “mutually,” “together,” “during,” but for our purposes “between,” or “among” is a good definition. Species means a group or class of individuals who have some common characteristics or qualities capable of exchanging genes or interbreeding. A species is a group of animals or plants that are similar and can produce fertile offspring. The simple definition of the word telepathic is distant feelings or feeling at or from a distance. Let’s break the word Telepathic down to understand the root of the word. “Tele”means “distant” transmission. Tele, from Greek, means “far, far off” or over a long distance. “Pathic” is defined as feeling a certain way or having a certain condition, suffering, passion, and disease or the quality that arouses pity. Pathic comes from the Greek and means suffering, feeling, or feeling sensitivity or perception. For what we are doing one would say the definition of “pathic” means feeling, sensitivity or perception. Pathy means – denoting feelings. Examples: a combining form occurring in loanwords from Greek, where it meant “suffering,” “feeling” (antipathy; sympathy); in compound words of modern formation, often used in the meaning “morbid affection,” “disease” (arthropathy; neuropathy, psychopathy) and hence used also in names of systems or methods of treating disease (allopathy; homeopathy, etc.). The word telephone (where Phone means sound or speech sound) means distant sound, or hearing and speaking at and from a distance. The word Telepathic or Telepathy means distant feelings or feeling at and from a distance. The words Telepathic and Telepathy means distant feelings or feeling at and from a distance. Communication comes from Latin to late Middle English and means “to share” or exchange information. Communication is the activity of conveying information. After absorbing this information what do you feel is the best definition of the words and concept of Interspecies Telepathic Communication? For me, simply put, I would say it is 2-way communication between another non-human species, and ourselves via feelings over a distance without using spoken words. What is Interspecies Telepathic Communication? Interspecies Telepathic Communication is a universal form of communication that we all have at birth. Telepathy means to “feel” over a distance. Communication means to share information. We are all born with the ability to communicate telepathically with each other and between different species. We communicate in this way all the time. It is so natural that we often do not know that we are doing it. It just happens much like breathing in and out. Natural. We do it without thinking about it. Have you ever been thinking about someone and then suddenly the phone rings and they are on the other end of the line, and you tell them that you were just thinking about them? They might say that they had been thinking about you as well. That is telepathic communication… the moment that both of you thought of the other before the phone call was made was the act of telepathy. A friend thought of you, and at that same moment, you start to think about them. How is it that a mother or father of a pre-verbal baby or child knows what the child’s cry means? How do they know that the cry means the baby needs to be changed or is hungry, or needs a nap, etc…. How do they know? Some might answer that they just “know,” or they have a gut feeling. That sense of knowing or the gut feeling is telepathy. This sense of “knowing” is what I feel is deep, true, telepathic communication. No words are needed. You just know, and then you take the appropriate action. Have you ever been concentrating or focused on something on a computer or deep into the joy of a good book and all of a sudden you break that connection, turn and see your dog looking up at you and you say, “do you need to go out?” How did you get that feeling and knowledge? No words are spoken. The dog was just silently there. Well, that too is telepathy. We humans often get into our heads and try to explain these “things” away, but it is very real and happens all the time. How does this kind of communication work? Doesn’t it only happen to those “gifted” humans? No! Every human can communicate with each other as well as with our animal friends. I like to say that there are those that are born with abilities that I liken to a Mozart or Beethoven in the music world. There are also protégé’s in the world of telepathic communication but like any modality, take music, for instance, those of us that were not born with the “gifted” ability can practice and become better….even as good as the protégé. When I was in college, several musical geniuses made everything look easy and natural, but with practice and dedication I along with many of my fellow music majors could perform and play as well as they did. The difference is that most of us had to practice and work much harder to achieve what they did without much effort. This is true when it comes to communicating with the animals. If we practice, we get better! We all can communicate with the animals from the moment we are born. This ability is often lost to us when we reach the age that we learn to read and write. At that age, we are usually told that we do not have imaginary friends and that it is time for us to “grow up.” Thankfully at this moment in time more and more adults are encouraging their children to develop their intuitive abilities instead of forgetting them and making them not be real. Telepathy needs a receiver (someone to listen) and a sender (the one that is communicating). The communication becomes 2-way when the sender becomes the receiver and the receiver the sender. Think of it as a game of tennis. Back and forth. The gentle back and forth makes it work and makes for good communication. The sending and receiving of telepathic communication works kind of like a TV or radio station. Let’s pretend that you want to listen to a certain radio station. How does that radio signal from the station get to your radio? First, you have a person in the radio studio talking, and they are playing music. That sound gets “magically” turned into energy that flows from the studio to a transmitter and then up a tower or satellite dish. From there these invisible sound waves are then sent out into the air at a certain frequency. How do you hear this information? Well, you have to have a receiver like a radio. Back in the day of old-fashioned radio and TV one would have to physically turn a knob to carefully “tune” in the station. This is the same principle that takes place when we are communicating with an animal. We must first be on the same “frequency” for good and clear communication to take place. 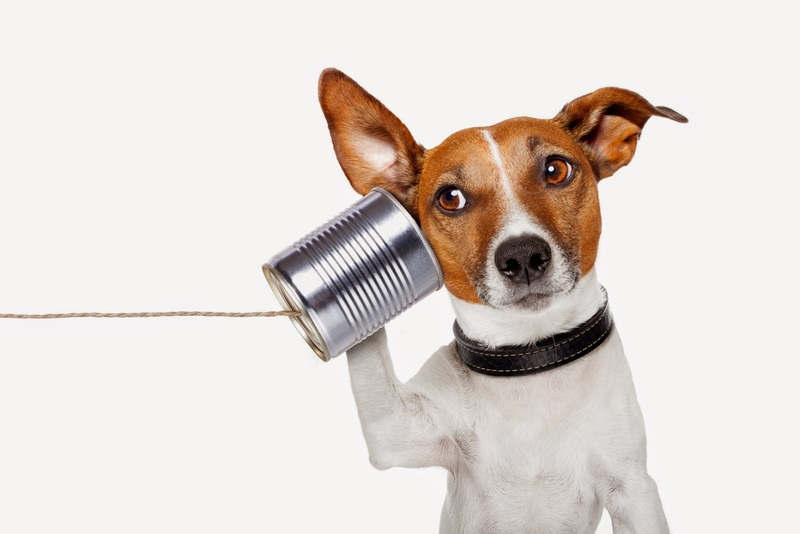 In the case of telepathic animal communication, you also have a sender and receiver. Each of us is made up of energy, and we each have our own unique “frequency.” This is kind of like our fingerprints. There are billions of humans on this planet, and each has a unique fingerprint. The same is true of our energetic “signal.” The energetic field around us is sometimes called our aura. Every animal also has an energetic “signal” or frequency. If I wish to communicate with an animal, I will need to tune the dial to receive their signal. Currently, we have cell phones. Maybe thinking about how a cell phone works can help you understand how telepathic communication works. If everyone had their cell phone, they would also have their own unique phone number. I f you wish to talk to a person, you pick up your cell phone (or talk hands-free) and dial the person’s phone number. If they are available, they answer the phone, and you can have a conversation or communication. Sometimes, just like a cell phone, the animal is “busy” so we leave a message! I always ask them if it is a good time to talk and if they say ‘NO’ I let them know I will return at a better time. How do we receive telepathic communication? Each of us receives telepathic communication differently. There is no “right” or “wrong” way to do this. Some people hear words in their heads/minds. Some people see pictures that can be still pictures or like moving video (similar to having a daydream). Other ways that people can receive telepathic communication is through physical sensations in their bodies or emotions while others have a “gut feeling” or sense of knowing…they just “Know” that something is so. Finally, each of our senses can be ways that one can receive telepathic communication from an animal: taste, smell, hearing, sight, physical sensations. An animal communicator is a translator. Think of interspecies telepathic communication as a foreign language. Pretend that you would like to communicate with someone, but they speak Chinese, and you don’t, and they don’t speak English. What are you going to do? You could try drawing your ideas. You could try to use sign language of some kind and point to things, but it would be much better if you could communicate with each other. You could learn Chinese, but that would take a long time to become fluent. They could learn English but again a long learning curve or, you could get a translator. That is what an animal communicator is, a translator between a human and an animal. Taking an animal communication class is like trying to learn a foreign language. You cannot be fluent after attending a 1-hour language class or a weekend workshop, but you can get some tools to help you learn and begin to open up this wonderful world. The animals will help you and support you, and they will be excited and happy when a human opens to them in this special way. One of the many things that I have learned from the animals over the years is as a translator one word can change the meaning of a concept. I am often corrected by the animals when a word that I used, when trying to put an concept into words, has changed what they are saying. One could think that anyone corrected by an animal is not an effective communicator. Well, think about this concept. What does it feel like when you are in love? The word LOVE. That one word is what we say to describe feelings and emotions but does that one word do the experience of love justice? Of course not! I feel that words are lacking, but they are what we humans use to communicate. I could not begin to do justice and explain what it feels like to me to sit across from the one that I love and look into their eyes and feel a soul connection. Impossible to put into words. What are the sensations that flow through our bodies in those moments in time? How does one put that into words? What are the emotions and feelings that come at that moment in time? How could anyone possibly put that experience into words? Poets and songwriters have tried, but I don’t think anyone has ever been able to do it…put “that” experience into words. Keeping this in mind please realize that we as communicators do our very best to explain and translate what the animal shares by putting everything into words, but we can fall short of exactly what they fully express. Thankfully the animals are often patient and will help us make sure the meaning that they are trying to communicate comes through properly and clearly. I often find it fascinating that if working in a group to communicate with one animal each person can receive different information. But, when the group talks and shares what they receive, a picture of the whole being, (the animal) forms on many levels. The reason is each of us is different. We each have different backgrounds and life experiences. Because of that fact, each person will have a different experience with the same animal. I often find it fascinating and exciting when I work with other communicators that have different ways of receiving communication but our information is similar or even the same, just different translations if you will. I feel that the most important thing that a human can do to understand Interspecies Telepathic Communication is to experience it first hand. Your experience will be different from anyone else’s. How you receive communication will be unique to you. There is no right or wrong way, just different ways. Your animal friends are waiting for you to open in this way. As you practice, they will take you deeper, and your life will be forever changed – in a good way. Be open to the possibilities and always be childlike as if everything in your world is new and wondrous. Remember to always have fun!! !